With 7.5 million meals per month and 850,000 subscribers globally, HelloFresh made their way to Canada in May 2016. 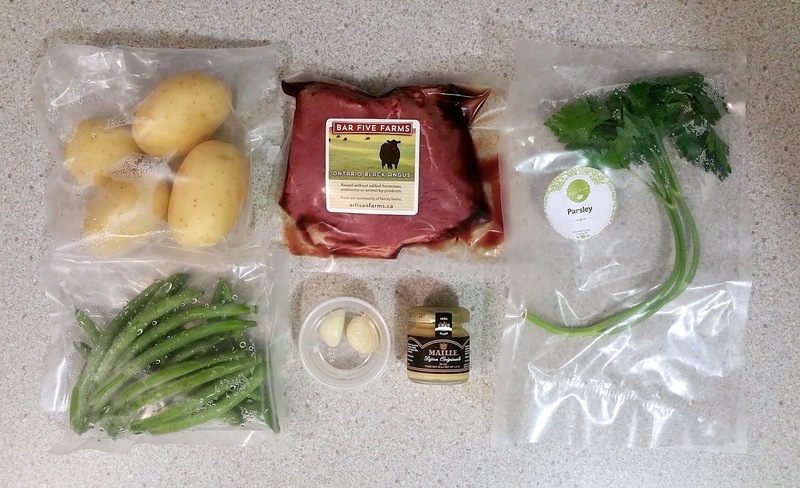 HelloFresh (Instagram: @hellofreshca, Facebook: Hello Fresh CA) is a meal delivery subscription service that delivers locally sourced fresh ingredients and recipes straight to your doorstep. 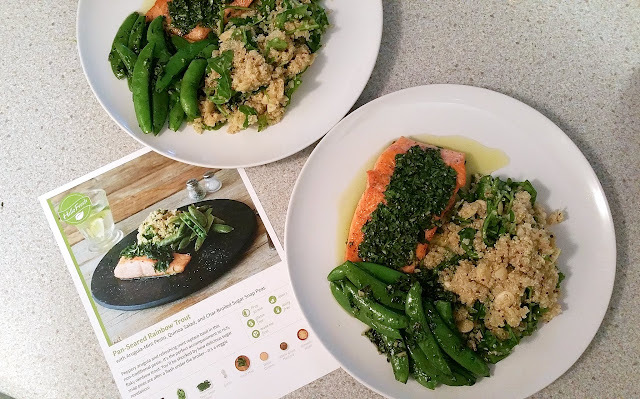 HelloFresh's team of in-house chefs create easy-to-prepare, nutritious recipes, and pre-measured ingredients are delivered right to your door every week. The recipes are quick and easy to follow (they all take 30 mins or less), and don't require any fancy equipment or techniques. All you need to have available at home is salt, pepper, sugar, cooking oil, and butter. HelloFresh delivers on Tuesday and Wednesday of each week and delivery typically occurs between 9am-5pm. If you are not home during delivery, their courier will drop the box off at your front door (or wherever you specify in your delivery instructions). 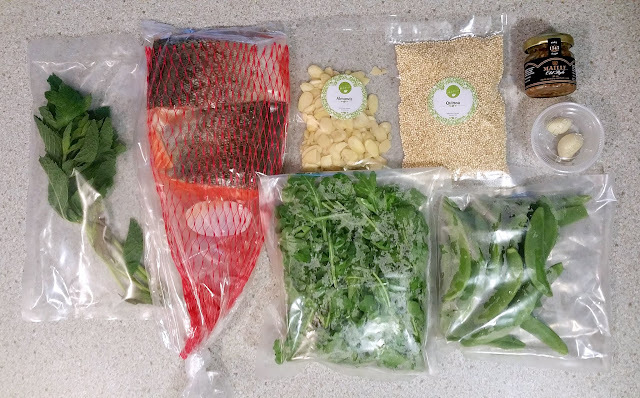 HelloFresh's subscription service is very flexible; there's no minimum length for subscriptions and you can deactivate at any time. You can even pause your subscription, just as long as it's done before midnight on Wednesday before the following week's delivery. HelloFresh currently delivers across Southern, Central, and Eastern Ontario (see delivery zones here). Every week, HelloFresh's Pronto and Family Boxes feature 4 meal choices: 3 with meat options and 1 vegetarian option. You can choose your top 3 favourites each week and also set personal preferences such as Beef Free, Fish Free, Pork Free, Seafood Free, or Shellfish Free as choice defaults. I was sent a 3 Meal Pronto Box for Two to try. You can now receive $30 off your first box order and another $30 off your second box order (total savings of $60 overall) when you use my code FOOD_JUNKIE at checkout! 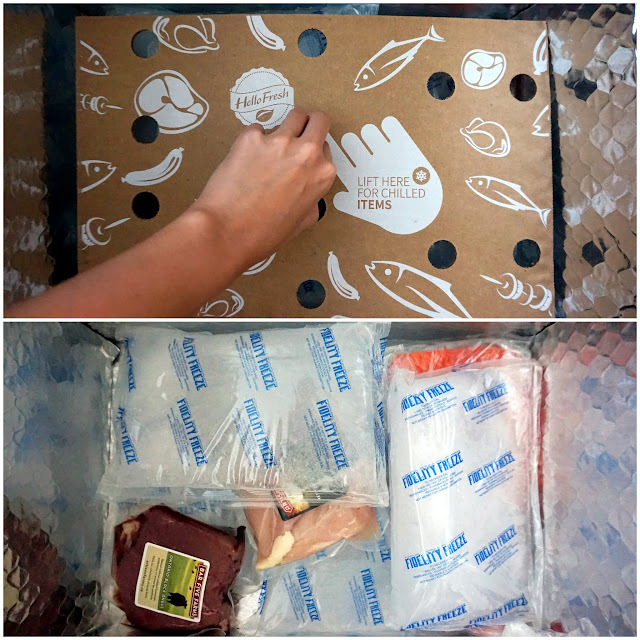 HelloFresh have specially designed boxes that are lined with thick liners and are 100% recyclable. I love how each recipe and its ingredients are in separate boxes. This keeps everything neat and in-place. Underneath the boxed ingredients is a separate layer containing protein and ice packs. The ingredients take up very little space in the fridge. When you're ready to cook, just grab the box of ingredients you're looking for and you're ready to go. 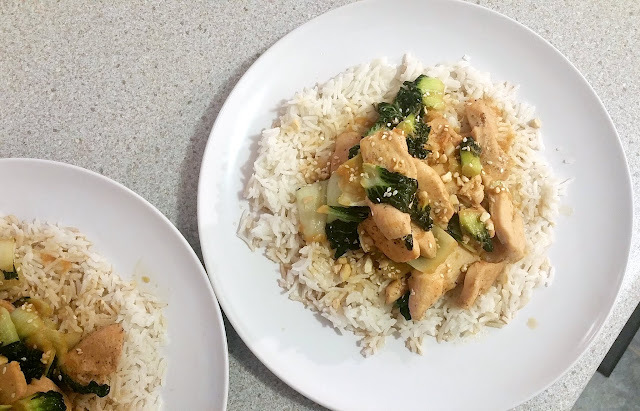 "The sweet and savoury combination of soy, honey, ginger, and garlic makes for a delicious glaze over juicy chicken and bok choy. Infused with rich, slightly sweet coconut milk, this rice has been given a little upgrade." The best component in this dish was the coconut basmati rice. Tender and fragrant, I could eat it all day. Other than the rice, everything else was lackluster, especially the chicken, which was dry and lacked seasoning/flavour. Also, I wouldn't call it a "glaze" because the consistency of the "glaze" was closer to a "thin sauce", which didn't coat the chicken like how it was shown on the recipe card. "Peppery arugula and refreshing mint replace basil in this non-traditional pesto. It's the perfect accompaniment to rich, flaky rainbow trout. 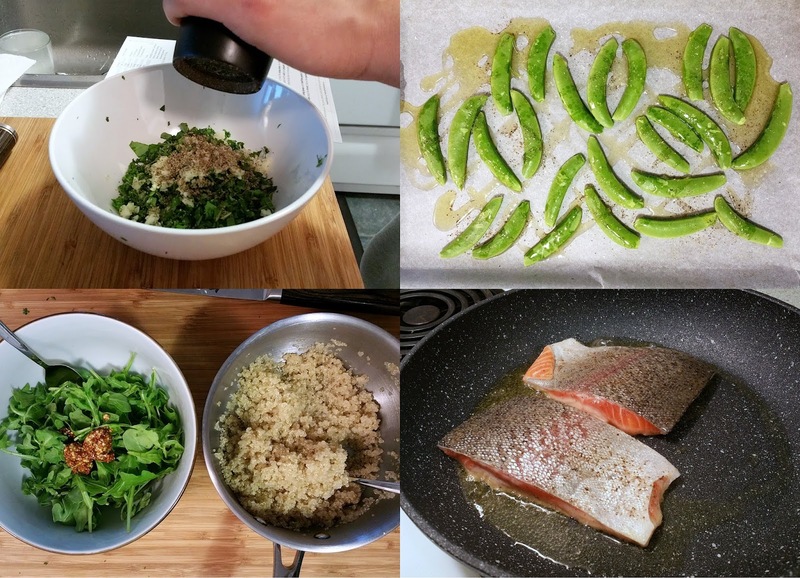 You'll be shocked by how delicious sugar snap peas are after a flash under the broiler - it's a veggie revelation!" This Pan-Seared Rainbow Trout was my favourite recipe, and coincidentally, it was a "level 2" recipe (the others were "level 1"). The quinoa was lovely, and so were the snap peas (I think stir-frying the snap peas on the wok with garlic would have been much quicker, easier and tastier than broiling them in the oven). It was fun making the pesto; there was a lot of it so I ended up mixing it into the quinoa as well. My friend and I each had a generous portion of trout, and we were able to achieve a nice crispy skin on the pan. However, as you can see from the photo below, a lot of oil ended up on the plate. 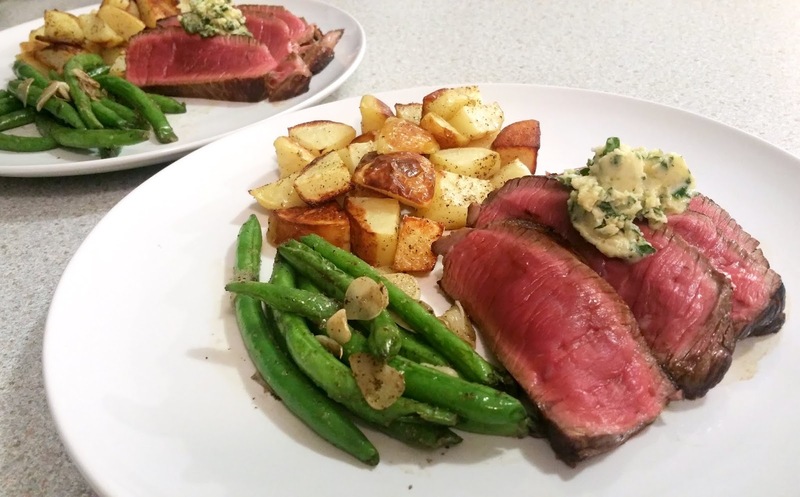 "Nothing says date night like a juicy steak topped with a decadent pat of herby butter. You'll be skipping the steakhouse and cooking at home a lot more often with this recipe in your back pocket!" I was surprised that HelloFresh did not include butter in the box, I actually thought they missed it but then I realized that "salt, pepper, sugar, cooking oil, and butter" are not included because those ingredients are considered staples in the kitchen. 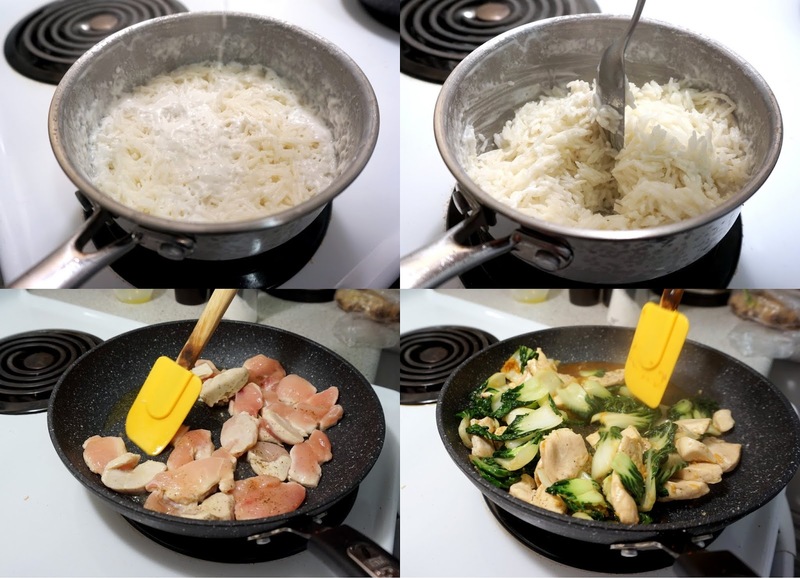 We did not have butter, since most, if not all Chinese households, do not cook with butter (that is, when cooking Chinese food). So, I had to go out and buy butter from the nearest grocery store. 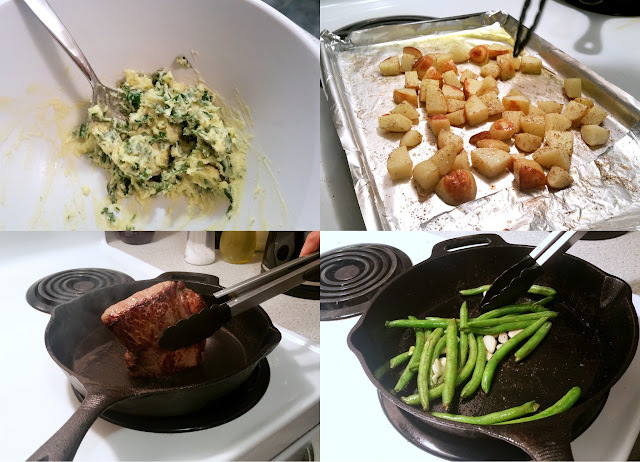 That aside, even though everything on the plate turned out great - the roasted potatoes were crispy on the outside and soft on the inside, the herb butter was \ tasty, the steak was cooked just the way we like it (rare, borderline blue), and the beans were crisp-tender - the dish was not a very exciting one. It was basically just steak and potatoes. Given the number of ingredients and a maximum prep time of 30 minutes, these recipes were good but not great. Overall, I thought they lacked creativity and flavour. HelloFresh's recipes are designed to be simple, easy-to-follow and made in 30 minutes or less, which is perhaps why they weren't very exciting to me. Not that I'm a great cook or anything, but I'd rather follow a "level 2", 45-minute recipe with more ingredients that ends up tasting great, than follow a "level 1", 30-minute recipe with minimal ingredients that ends up tasting just average. This is just my preference, of course, since others may not be willing to spend that time. Currently, HelloFresh does not offer the option to choose recipes, which directly contributes to the reason why I think HelloFresh is not for me. 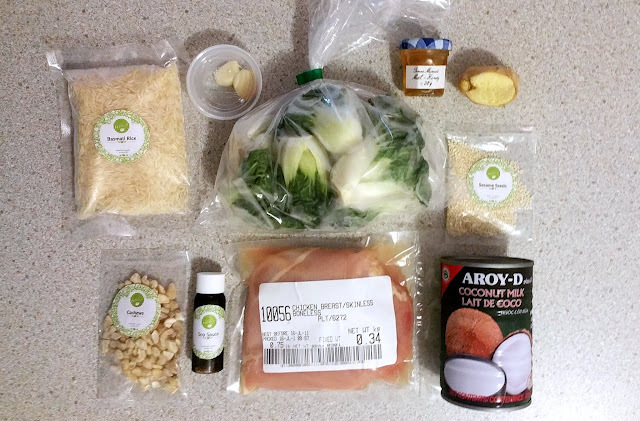 If I had the option to choose recipes at HelloFresh, I think my experience would be very different since I would be choosing recipes that cater more to my palette. If you're down for simple and nutritious meals that take 30 minutes or less to make, then I highly suggest you give HelloFresh a go. You can now receive $30 off your first box order and another $30 off your second box order (total savings of $60 overall) when you use my code FOOD_JUNKIE at checkout!